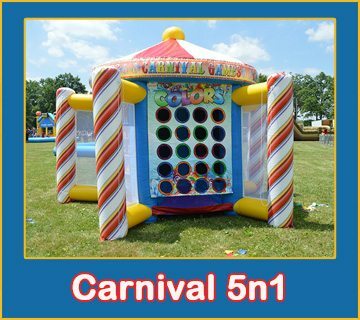 You will love the 5 in 1 carnival game!! 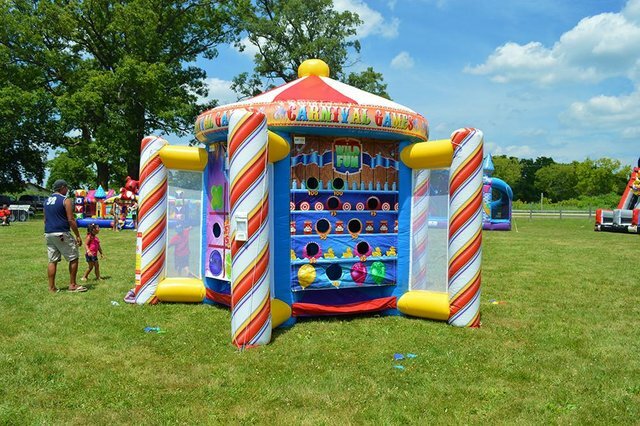 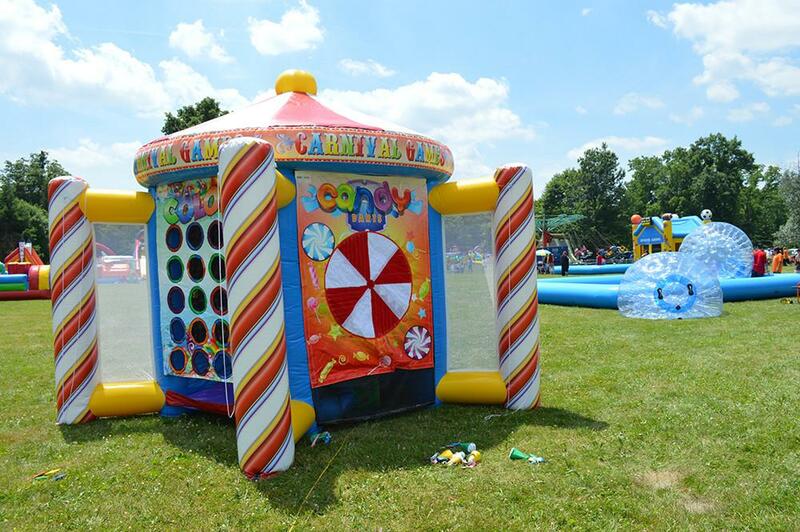 It’s the perfect start to hosting your own carnival themed party with the Inflatable Carnival! 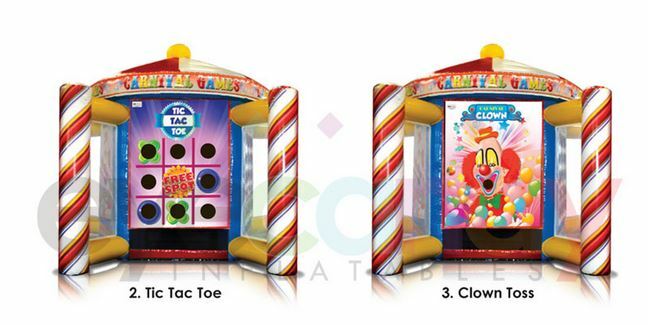 This inflatable includes 5 games with vibrant artwork that will make any space feel like a carnival.